Peak Series. A versatile and dependable design, with grooved HDPE outer shell, rain trough, and accessory slots. Ratchet adjustment, 4-point nylon suspension with 3-level height adjustment. 2 anchor points for chin strap. 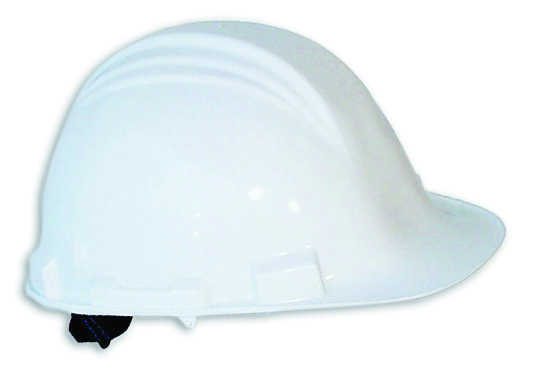 ANSI Type I, Class E compliant.